Chuck Schumer Iran Deal: New York senator will defy Obama, oppose nuclear deal with Iran. Going his own way: Sen. Charles Schumer on May 15, 2015, in New York City. 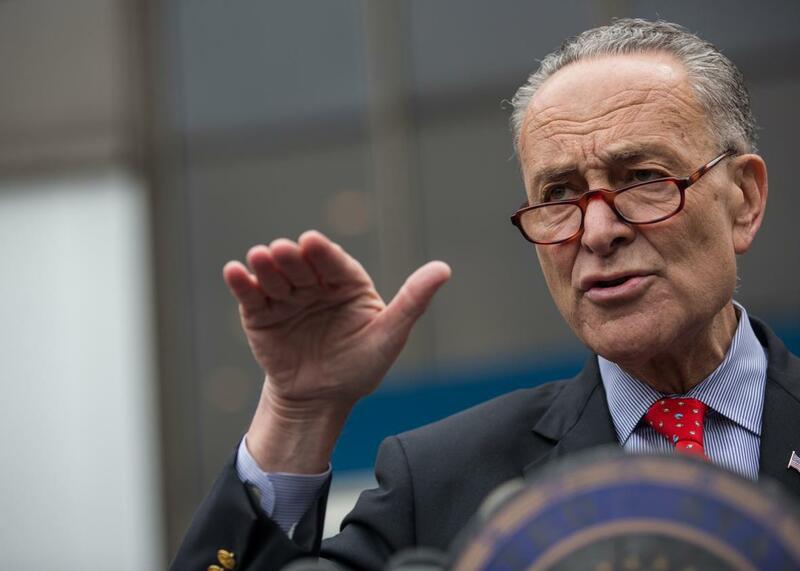 Sen. Chuck Schumer will break with the Obama White House to vote against the nuclear deal with Iran, according to a statement the New York Democrat posted late Thursday on Medium. Schumer’s intention to oppose the deal was reported earlier in the evening by the Huffington Post, but his reluctance to lend his support has been noted by the press for weeks, with the senator unwilling to commit as recently as two weeks ago to do more than “review” the provisions of the deal. Schumer has a sizable Jewish constituency and has developed close ties to the American Israel Public Affairs Committee, the influential pro-Israel lobbying group that has pledged over $20 million to kill the nuclear accord. During his 34 years in Congress, Schumer has become fond of telling his voters that his surname is derived from “shomer,” the Hebrew word for “guardian.” “I am a shomer for Israel and I will continue to be that with every bone in my body,” he said in 2010. But to his more hawkish pro-Israel constituents, Schumer’s hesitation to announce his position and his failure to whip fellow Democrats against the deal demonstrate a betrayal of this promise. “Schumer, you are no shomer,” yelled a crowd of 10,000 protesters rallying against the Iran deal in New York City’s Times Square last month. “Where is Chuck? Kill this deal!” they chanted. Schumer is reportedly willing to maintain his opposition in the face of a presidential veto should the “no” votes prevail when the Senate takes up the matter after its August recess. Schumer aide says he would ALSO vote to override presidential veto on Iran deal disapporoval. Schumer might have been moved to act by the announcement, earlier Thursday, that the agreement had gained two Democratic supporters in the Senate, with Jeanne Shaheen of New Hampshire and Schumer’s fellow New Yorker Kirsten Gillibrand indicating that they would vote in favor. The timing of his statement, which was posted one hour into the first Republican primary debate of the season, does not appear to be a play for massive media attention. The New York senator had told the White House that he had decided to reject the nuclear agreement and would announce it on Friday. But the source accused the White House of leaking Schumer’s decision to the Huffington Post, forcing the senator to announce his decision Thursday night. Once the frenzy of debate analysis had died down Thursday night, reactions to Schumer’s statement started to trickle out. While few expressed shock at his decision to oppose the agreement with Iran, it was nonetheless somewhat jarring to see the man expected to take over leadership of Senate Democrats come out against one of President Obama’s legacy-level priorites. MoveOn.org announced a “donor strike” after the New York Democrat’s announcement that he opposes the Iran deal and compared him to Joseph I. Lieberman, while former senior White House aide Dan Pfeiffer warned the Democratic base wouldn’t support Schumer for leader. MoveOn said its eight million members will withhold funding for the Democratic Senatorial Campaign Committee and from any Democratic candidate who sides with Schumer. One demographic had no shortage of criticism for Schumer’s break from the White House: former Obama staffers with Twitter accounts. Chuck Schumer, who said it was a mistake to pass Obamacare, now comes out again the Iran Deal. This is our next Senate leader?